“They want to take us back to the bad old days of the early 2000's when they diverted record amounts of salmon water. It’s no coincidence that massive numbers of baby salmon were killed and fishing was shut down for the first time in history in 2008 and 2009,” according to GGSA. Our organizations continue to advocate that Congress consider the WIIN Act extension in regular order, with hearings next year. In the new Congress, our organizations urge you to consider funding new water supplies that are environmentally superior to new dams, including recycling, storm water capture, and groundwater treatment, including desalination of brackish groundwater. Demand management, including fallowing of impaired farmland, and increases in efficiency of agricultural and urban water use, is also essential in adapting to severe droughts and climate change. For more details, see the Environmental Water Caucus report, A Sustainable Water Plan for California. We also urge you to prioritize the San Luis (B.F. Sisk) Dam seismic remediation over funding for new California dams under the WIIN Act extension. If necessary, major multi-year spending commitments should be delayed until costs for the seismic remediation of San Luis Dam are available. There is a long standing issue with geotechnical deficiencies in the San Luis Dam embankments. The dam is also in a very seismically active area. Independently reviewed risk assessments for Reclamation have shown that a large earthquake could lead to crest settlement and overtopping of the dam, which would result in large uncontrolled releases and likely dam failure. Opposition by Senator Kamala Harris (D-CA), California Legislative Delta Caucus and other elected officials also played a key role in defeating the WIIN Act amendment for the time being. Frazier said the WIIN Act, passed in 2016, enacted temporary changes to protect both water supply reliability and the ecological health of the Delta in the aftermath of a historic drought in California. He said the proposed extensions would prolong those short-term emergency provisions until 2028, without regard to actual drought conditions or Delta water quality. 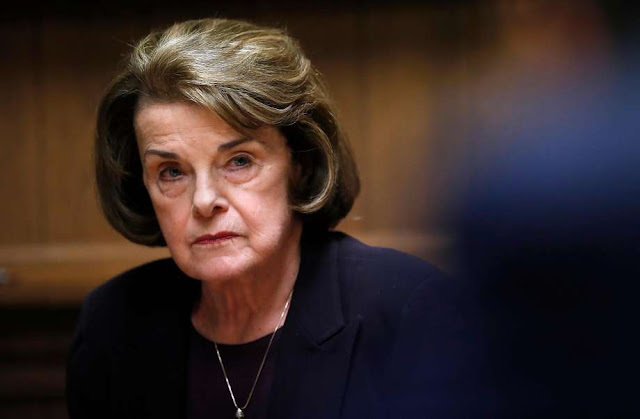 To contact Senator Feinstein, you can call her Washington, D.C., office at (202) 224-3841 or visit her website at feinstein.senate.gov. You can also follow the Senator online at YouTube, Facebook, and Twitter, and you can sign up for her email newsletter at feinstein.senate.gov/newsletter.